Last saturday was so much fun for me. 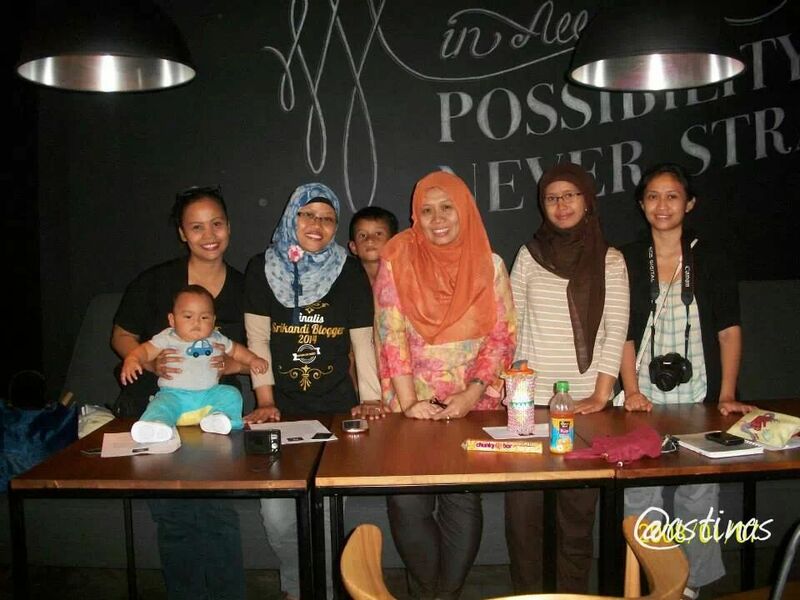 I spent my evening with some friends from KEB, a community of bloggers mom, at 6 Degrees Cafe. At first I just wanted to stay at home with husband and kids. Enjoying our prime time with watching TV, chococolate or coockies, and a cup of tea. But my friends told me that I must join the party because the cafe is new open and it has a unique concept about coffee and friendship, in addition to their flagship menu that make us, the culinary lovers, feel curious to taste. I love the design of the cafe, with artistic wooden as the interior, free wifi to keep us connect with internet, and the staff services are excellent. While chatting casually with friends and enjoying the food and drinks that we ordered, I secretly wonder. Why this cafe named 6 degrees? And I was also interested in a wall that’s designed like a chalk board with an interesting sentence. In all possibility, we were never strangers. 6 Degrees or full 6 Degrees of Separation is one theory that human is only separated by only 6 degrees of friendship. Thus between one person and the other person can connect through 6 parties or even less than 6. Indeed friendship is one thing that’s very fun and one thing to be thankful. We all know that from the friendship, can be born many positive things, fresh ideas, fun activities, and not a little which it lead us to a lot of new creation, including setting up a business together. The cafe is owned by three people who are friends and have the same hobbies, culinary and traveling. And based on their experience, combined with the theory of 6 degrees of separation, they want to make a cafe with a strong friendship. So when the customers come, they are no longer a customers, but the part of the cafe, being a friend who was greeted warmly, and sat in the comfort living room and be pampered with a variety of the best menus. It’s tasted good indeed 😉 me and my kids like it so much. every customer is a friend. only they have to pay hahaha…. It’s so luxurious but njoy with their service.